Many tens of thousands of people visit Besseggen every year. The view over Gjende and Bessvatnet from Besseggen is an experience you will never forget. The trip is almost 14 kilometres long and runs between Memurubu and Gjendeosen, with a very steep climb in places. Good footwear is a necessity. Even in summer, you need to be aware that the temperature is colder the higher you climb, and there may be sudden changes in the weather. The hiking trip goes over the high mountains, and you will get a better and safer experience if you make wise choices on what to put in your backpack, and get to know everything about the trip ahead of time. Many people make the trip to Vågå and Jotunheimen to hike in to the mountains. There are numerous hiking alternatives, but there is also an extensive choice of activities and guided tours near Jotunheimen. Feel free to ask in the kiosk for information on the various activity and accommodation options. We have a good view of what the area can offer - and, of course, of the many accommodation alternatives. 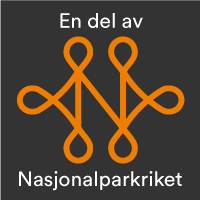 If you would like more information about what you can experience in Jotunheimen and the surrounding areas, Nasjonalparkriket.no is a good place to start. Here you will find information about the journey along the Valdresflye National Tourist Route. Camping overnight in tents, campers or any other kind of accommodation is not permitted in our car parks. Contact us at the kiosk to get information about the accommodation alternatives in the area - there are several great camping sites nearby.